Two families lives were shattered when a heartbroken, angry young man took the life of a young girl and then attempted to take his own. 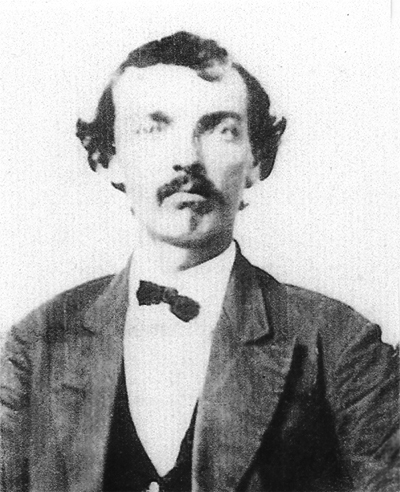 On 18 June 1887, John W. Green put a pistol to Ova Davis’s head and fired as she plead for her life on her knees. He then fired three shots into the back of his head. She died shortly thereafter. Although gravely wounded, he lived another 46 years. After two trials and a TN Supreme Court decision, John W. Green spent the rest of his life in the East Tennessee Asylum for the Insane. This research is primarily based on the testimonies in the TN Supreme Court Case State vs John W. Green. On Saturday, 18 June 1887, Ova Davis died from a single gunshot wound to her head at the hand of John W. Green. She had just turned 18 years old. Ova was born 29 April 1869 in Putnam County and was the second child of William G. “Bill” and Caroline “Cal” (Stover) Davis. The Davis family was a very wealthy and prominent family living in southwest corner of the county. Mr Davis had honorably served in the 5th Tennessee Cavalry USA in the recent Civil War. During his time in the service, he was also employed with the Federal Internal Revenue Service. After the war, he served as a “Store Keeper and Gauger” at different distilleries (FOOTNOTE). He also served as a Justice of the Peace, Register of Deeds, and County Judge. The local Federal Civil War veterans honored the Davis family by naming the GAR lodge after Mr. Davis’ father, who served and died in the recent war. The lodge was called the Albert G. Davis Post No. 76, Grand Army of the Republic, Department of Tennessee. In addition to Ova, Mr. & Mrs. Davis had the following children: Avo, Solomon Eli, Sallie, William Albert, and Shelah Dillard. Sallie was the only other person at home when Ova was killed. When she heard the commotion in the front yard, she quickly ran out the back door and ran to Albert Austin’s house for help. Albert alerted family members John York and Scott Davis about the tragedy. Together, the three men hurried to the Davis house and were the first to arrive at the crime scene. Sallie was born about 1873 and was about 14 years old at the time of the shooting. Albert Riley Austin was Ova’s brother-in-law. He and Ova’s sister, Avo, had recently married and were living on the Davis property, Their home was located about a half mile from the Davis home. John Campbell York (PHOTO) was Ova’s maternal uncle. He married Mrs. Davis’ sister, and they lived about 3/4 of a mile from the Davises. Mansfield “Scott” Davis was Ova’s paternal uncle. He was her father’s younger brother. Scott also lived on the Davis property not far from their home. Ova was being courted by Jim Parks and Tom Cameron who frequently visited her at home. She had just recently accepted Jim’s marriage proposal, and the couple planned to marry in the near future. 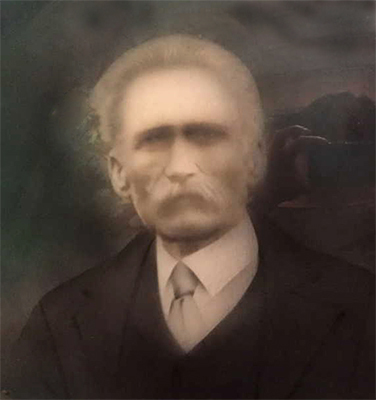 James Thomas “Jim” Parks was born 15 April 1862 in White County and was the son of John and Elizabeth (Albright) Parks. At the time of the shooting, he was serving as a Constable in Putnam County. Jim was 25 years old. Thomas J. “Tom” Cameron was born on 23 April 1855 in White County and was the son of James McNeale and Eliza Ann (Jones) Cameron. Tom was 32 years old. John Green murdered Ova by putting a gun to her head and pulling the trigger as she pleaded — on her knees — for her life. John Wesley Green (ADDITIONAL INFO) was born about in August 1859 to Edmond Harrison and Elizabeth (Elrod) Green. His siblings included Amanda Jane, James H., Mary Buck, Elias, Alonzo “Lon” Leonidas, Nancy Elizabeth and Harrison A. Green. John was about 25 years old. On the morning of the murder before going to the Davis house, John visited two family members: Mack Stover and Mat Martin. James “Mack” Stover was related to both families. He was Mrs. Cal Davis’ nephew and John’s brother-in-law. Mack had married John’s older sister about 1873, but she died in childbirth in 1880. By 1887. Mack had married his third wife. He lived about a half of a mile from John - directly in between the Davis and the Green homes. Felix Madison “Mat” Martin (PHOTO) was a cousin of John’s. His father, Ammon A. Martin, and John’s father were half-brothers. Mat lived between the Green’s house and Mack’s house. The murder occurred at the home of Mr. and Mrs. Davis in the lower part of the 8th Civil District of Putnam County - about a half of a mile south of the intersection of the Cookeville Boatdock Road and Martin Road, in the present day. Ammon Martin owned land along Martin Road and next to Peter Cave Branch. To the west of them was the Green farm. Then west of the Green’s was the Elrod farm (owned by Elizabeth Green Vinson’s relatives). Mack Stover lived northwest of the Martins near the present day Stover Road. Mat Martin lived between Mack Stover and the Green farm. (See Figure 1). Figure 1. This map depicts the approximate locations of the families involved. This drawing is made from information in available deed records, tax records, and trial testimonies. The Davis and the Green families were neighbors living near the Putnam-White County line. Both families were well-liked and well-respected within the community. By all accounts, there was no discord among them. In fact at the time of the shooting, Elias Green was living with the Davis family and was renting land from Mr. Davis. At one time or another, Mr. Davis had hired each of the Green boys to work on his farm. Ova was a beautiful, popular and sociable young lady. Many young men in the community wanted to court her. Three made their intentions well know: John Green, Jim Parks, and Tom Cameron. Even though Ova only considered John to be a friend, in his mind he believed that he and Ova were involved in a romantic relationship. He claimed that they were to be married Sunday, 1 August 1886. While Ova tried to convince him that she was only interested in friendship, John persisted with his courtship to the point of annoying her and her family. In the summer of 1886, she finally told him to leave her alone and refused to speak to him or to receive him in her home. In retaliation for spurning his affections, he spread vicious rumors about her character around the community. He wanted to hurt her by lowering her in the eyes of her family and friends. His plan backfired. Instead of turning their backs on her, her family and friends rallied to her defense. John, rather than Ova, suffered the consequences of his actions. Despondent over the break up and reaction of the neighborhood, John decided that he wanted to leave the county and to seek employment elsewhere. In the fall of 1886, John sold all his personal property. He traveled with several other men (ADDITIONAL INFO) to Dickson County to find work cutting wood and working on the river. John laughed and responded “I expect that it would. I bought it in Dickson County and paid $10 for it. I want to get something for it.” While they continued joking about tossing the pistol in the water, ultimately John kept his pistol. Had Ned thrown the pistol in the river, Ova might have been spared her fate. Worst than the rumors, Ova still refused to see or to speak with John. Yet she maintained a cordial relationship with everyone else. To his complete dismay, Parks and Cameron frequently visited Ova. John tried talking to her father to get him to intercede on his behalf, but it was no use. He did not dare attempt to write another letter to her mother. On top of all this, his head relentlessly hurt. He constantly complained of headaches and water sloshing around in his head. He asked those around him if they could hear the water in his head. His breaking point came on Sunday, June 12. While attending the Antioch Church, someone told John that Ova was engaged to Jim Parks and that the wedding was to be held next Sunday. (ADDITIONAL INFO) He immediately sought out Albert and asked him if this rumor was true. He also asked him if he had heard the other rumors floating about the community. Albert informed that he had indeed heard the scuttlebutt. John begged him to talk with Ova’s father on his behalf. He felt that if he could just talk with Mr. Davis that he could make him understand the situation and convince him to let him see Ova. Albert told him that he wanted no part of this scheme. Desperate, John resolved to himself that he would rather see Ova dead than to see her marry anyone else. As his anger, humiliation and frustration grew, he vowed that the time had come for action. He resolved to kill Ova next Sunday at Sunday School before she could marry anyone. Then, he would eliminate all his competition - both Parks and Cameron. Finally, he would end it all by killing himself. Secretly, he began stalking Ova. Two known instances occurred on the afternoon of Monday, June 13 and the morning of Friday, June 17. In the first instance, unbeknownst to Ova, John followed her from her home to the spring on her father’s property. As he lay hidden in the brush, he carefully aimed his pistol at her. To pass the time, Ova began to sing as she performed her chores. John thought that she sang so sweetly and that she looked so “nice and pretty.” His heart failed him, and he simply could not pull the trigger. As he continued to watch Ova, he again resolved to kill her and then himself believing that they would “go to Hell together.” (FOOTNOTE) Eventually, both went their separate ways; and Ova was spared for the day. On Friday morning, Sallie accompanied Ova back down to the spring, and John covertly followed them. Once more, he aimed his pistol at Ova. He waited and watched. As before, he simply could not pull the trigger. He would later claim that he failed this time because he was afraid he might hurt Sallie. Fortunately for Ova, Sallie never left her side. Again, Ova was spared. On Saturday morning, 18 June, the sun rose about 5:30 am in Middle Tennessee. About 6 am, John; his mother, Elizabeth; his brothers, Lon and Harrison; and his sister, Nancy ate breakfast together. John appeared noticeably drawn and pale, and he complained that his stomach hurt. As the women set the food on the table, John loudly demanded an onion claiming that he could not possibly eat breakfast without one. Nancy ran to get one and set it on his plate. After taking only a couple of bites, he abruptly left the table and walked out to the stable to brood. After finishing his breakfast, Lon joined him at the stable. As Lon worked, he failed to notice that John had left the stable. He went to look for him and found him sitting on the porch with his head in his hands. Distraught, John complained that his head hurt and that he could hear the water in his head. Lon tried to distract him by asking if wanted to go to the store, but John simply ignored him and continued rubbing his head. Not knowing what to do for his brother, Lon returned to the stable to finish his chores. Next, he walked to Mack Stover’s house. As he was wandering across the field, he stopped to watch a man and woman in carriage riding along the road. Although he assumed that they were Mr. and Mrs. Davis, he was not certain. About 7:30am, John arrived at Mack’s house. Mack invited him in and asked if he would like to join him and his family for breakfast. John chuckled and responded that it was pretty late for breakfast. Mack replied “Yes, sorter like your Uncle Autney Elrod’s.” (FOOTNOTE) That brought a smile to John’s face. They sat down at the table, and Mack resumed eating. John sat there thoughtfully for a minute before he inquired who had been in the carriage that passed along the road. With a grin, Mack teased that it was his future father-in-law and mother-in-law. This comment changed his mood dramatically. Glumly, John responded that was what he thought. Fifteen minutes later, John announced that he was going to pull weeds for his horse, and he left. Mack watched as he walked out the door, went into a nearby field and began pulling weeds. After a bit, Mack went about his day without giving him another thought. As he was pulling weeds, he realized that Mr. And Mrs. Davis would most likely be gone for the better part of the day and that Ova would be home alone. This would be the perfect opportunity to carry out his despicable plan. With renewed determination, he returned home to write a letter of his intentions and to retrieve his pistol. Then, he headed to the Davis home to confront Ova. Elias, who was living with the Davis family, arose quite early and ate breakfast about 5 am. He left shortly thereafter. When he left the house, all of the Davises were still home. Mr. and Mrs. Davis planned to spend the day visiting with friends, Madison and Celia Jones. The Jones lived in the Boiling Spring community, and by wagon the trip would take several hours. Davis and Jones had known each other for a long time and had served together in the 5th Tennessee Cavalry USA. Mr. and Mrs. Davis left the house around 7:30 am. Since it was a nice warm June morning, Ova took her ironing outside in the hall to enjoy the warm weather while she worked. Sallie remained inside upstairs. About 10 am, Ova looked up from her ironing and saw John striding purposely towards her across the yard. Ova yelled, "Don't you come in!" John screamed back, "I generally go where I damned please!!" When he reached the porch, he drew his pistol. Ova fell to her knees, threw her hands in the air and cried, “Lord have Mercy!” She pleaded with him for her life. Unmoved, he casually walked over to her; and without another word, he levied his revolver and shot her in the left temple. She fell backwards onto the porch. He leaned down, turned her head and examined the wound. When he saw that the ball passed clean through her head, he knew that she was not long for this world. Although mortally wounded, she still clung to life. He stood up, raised the pistol to the back of his skull and fired. Although the bullet entered his head, it did not kill him or even knock him off his feet. Stunned, he again placed the pistol to the back of his head and fired. This time, the shot knocked him off his feet but still did not kill him. For the third time, he placed the gun to his head and attempted to fire; but the pistol failed to discharge. He pulled the trigger a couple more times, but the pistol failed to fire. With two bullets already lodged in his head, he still had the presence of mind to unload and reload the pistol. He fired again. This shot hit its mark. John fell to the porch gravely wounded. Upstairs, Sallie was tending to her housework when she heard Ova’s screams followed by several gunshots. Panicked, she ran down the stairs, out the back door and across the field for a full half mile until she reached her brother-in-law’s house. “He’s killed Ova! He’s killed Ova!” Sallie screamed as she ran into the yard. Albert struggled to understand exactly what the terrified young girl was trying to tell him. When the enormity of the situation became clear, he mounted his horse and went for help. He first rode to John York’s house; and together they rode to Scott Davis’ house. The three men hurried over to the Davis house. When they arrived at the porch, a horrific scene greeted them. Ova lay on her back bleeding profusely from a gaping gunshot wound to the head. She was still alive but just barely. John was laying about two feet from her - also bleeding profusely from several gunshot wounds to the head. He, too, was barely alive. The pistol lay about 2-3 feet from Ova’s head. While several of the gun’s chambers still contained shells, the remaining ones were empty. Shells and empty cartridges littered the porch. Lying near the victim was a blood stained letter written by John Green and addressed to both the Davis and Green families.